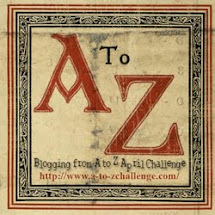 THE A TO Z BLOG CHALLENGE BEGINS. . .
A science fiction writer who envisioned the future possibilities for mankind with humanoid robots and galactic empires. He wrote of the spacers who explored and settled the habitable planets in a future time. He created the Three Laws of Robotics. This theme will highlight various authors that have made an impact on writing or inspired other works, whether by style or subject matter. 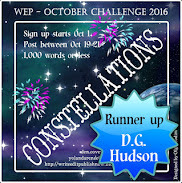 Hope you find a few authors you know and discover a few new ones as the challenge theme continues throughout April. Isaac Asimov, January 2, 1920 - April 6, 1992, was a prolific American author and a professor of Biochemistry at Boston University. He is known for his science fiction novels, his popular science books, and for creating some new words. The Oxford English Dictionary credits his science fiction for introducing positronic, psychohistory, and robotics. Asimov was born in Russia and was brought to New York by his father when he was three years old. His first short story was published when he was 18, and his next work, Nightfall, appeared three years later. In 1964, the SFWA (Science Fiction Writers of America) voted Nightfall as the best short science fiction story of all time. Along with Robert A. Heinlein and Arthur C. Clarke, Isaac Asimov was considered one of the 'Big Three' of science fiction writers in his lifetime. He wrote 'hard' science fiction, the most famous being the Foundation Series. He also wrote the Galactic Empire series (set in an earlier time of the same fictional universe as the Foundation series) and the Robot series, from which I, Robot, the movie was developed. In 1942, Asimov published the first of his Foundation stories. These were later collected in the Foundation trilogy: Foundation-1951, Foundation and Empire-1952, and Second Foundation-1953. These novels tell of the collapse and rebirth of an interstellar empire in the future. His positronic robot stories (many collected to form I, Robot) were first published in 1950. Later, in Foundation's Edge, Asimov linked this distant future with the Robot and Spacer stories, creating a unified future history for his epic tale. Asimov also wrote a lot of nonfiction. He authored books on general science, physics, astronomy, mathematics, history, chemistry and William Shakespeare's writing. He was a member and vice president of MENSA International, although he thought many were arrogant about their IQs. 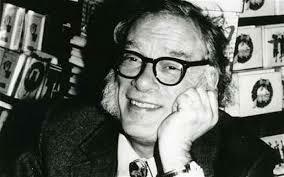 Asimov sported mutton-chop whiskers later in life, wore cowboy boots and an old-style western tie called a bolo. He was eccentric and resigned to being so. He liked to say his success was due to 'a lucky break in the genetic sweepstakes'. Indeed. 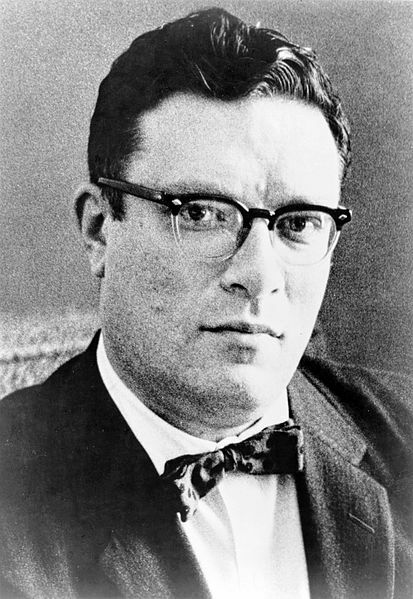 In 1977, Asimov suffered a heart attack and had triple bypass surgery in December of 1983. When he died in New York City on April 6, 1992, the causes were reported as heart and kidney failure. 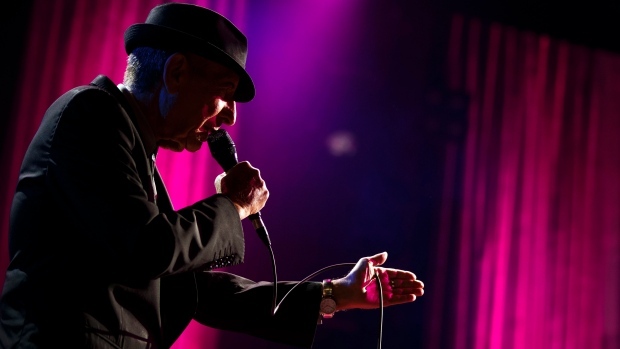 A larger than life man had reached the end. Have you heard of Isaac Asimov or his Foundation series, or the Robot series of books? Do you read or write science fiction? Please leave a comment to let me know you were here, and I'll respond! Thanks for dropping by. 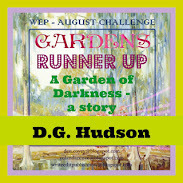 Let me know if you're part of the challenge, so I can be sure to visit your blog. 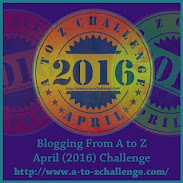 It's April again and time for the 2016 Blogging from A to Z challenge This is my 4th year participating in the challenge! 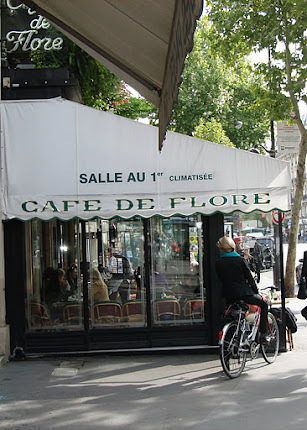 (Previous A to Z posts at the top of my blog page tabs are: Art A-Z, French Faves, Paris, Etc. Thanks to originator Lee (Arlee Bird at Tossing It Out), and the co-hosts and co-host teams who make the challenge run smoothly. See the list of participants, and other important information at the A to Z Blog site. The basic idea is to blog every day in April except Sundays (26 days). On April 1st, you begin with the letter A, April 2 is the letter B, and so on. Posts can be random or use a theme. Asimov is the only Sci-Fi author I can say I have read :) Immersive experience. So glad to see you at the A-Z! Missed your theme reveal, I don't know how. I didn't do a Theme Reveal, I prefer to surprise. . . I've never read any of his stuff....it always seemed a bit too scientifically complex. I did try to hunt down one of his short stories called The Day The Icicle Works Closed, because of that 80s band, Icicle Works. You do have a love of musical things, JoJo, and that's as good a reason as any to read a story to see what might have inspired that band. While not a fan, he did have a huge impact on the science fiction world. Yes, Alex, readers either liked him or didn't. I was recommended to read Asimov first and he impressed me. I also read Heinlein and Clarke, and others. Asimov remains a fave, but I didn't like some of his earlier stories that much. I liked his series and the interconnected-ness. Authors. Whew. At least you gave yourself a large "pool" for the A to Z.
Isaac Asimov. Yep, I've heard of him. When I was a kid, my dad had a bunch of his novels. Back then, he was really into what you've called "hard" science fiction. I don't know when precisely he discovered the fantasy genre, but when he did, he really embraced it. So, when I think of Isaac, I think of my dad as a kid. But dad preferred Robert Jordan and his stuffs more in his later years. As for me, I'm much broader in my reading. I like lots of stuffs!!! Google is wiping some of my replies, arrgh. I went from reading fantasy to reading scifi. Never have read much of Jordan or Silverberg though. I like your theme this year, Robin! I loved his ideas, but his characters always seemed flat to me somehow. Yet, I loved his own zest for living. And his intellect and prodigious output!! Wow. The characters in Foundation and I, Robot weren't flat IMO, but in some of his earlier stories, I could see that. It was his ideas that captured my imagination. I don't think I've ever read any of his books. I didn't know he founded MENSA, either. He was VP but I don't think he founded the group. He's an oldie now but still was one of the great masters in the heyday of the 50s and 60s. What a wonderful theme for the A to Z. I can't wait to read your posts. Thanks, Inger, I may have some surprises in store - all the authors I have chosen cover a variety of genres. A great influence in the world for both writers and scientists, well, all of us really. Thanks for sharing. I remember the Foundation series, mostly because a friend of mine compared me to one of its characters. He was more than just a sci-fi writer: he wrote "The Sensuous Dirty Old Man" under a pseudonym, and it was one of the funniest books I read. Even I know of Aasimov and sadly, I'm not a sci fi fan. You know, without a doubt, I'm a sci fi fan. I read much and try to write it. I know plenty of Asimov, but I admit I have only read the Robot stories (which, of course, I love). I also enjoy how "there is nothing new under the sun" and many modern sci fi works have roots in older pieces, and those in still older pieces. I have read Heinlein and Clarke. I enjoy the hard science & older works. It is so fascinating to see how things have developed between when they were written and now.